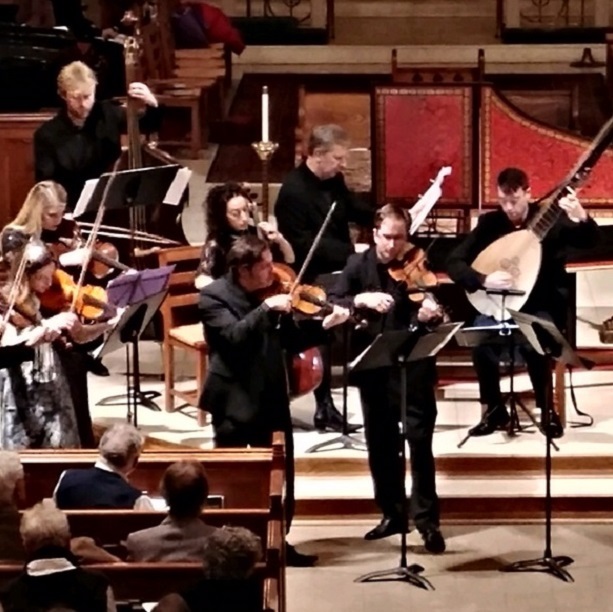 Performing on period instruments, CMSCVA artists perform music from the Italian and German Baroque for strings and flutes, including Arcangelo Corelli’s famous “Christmas” Concerto and music from Georg Philipp Telemann’s Tafelmusik. This concert is preceded by 15 minute chat with CMSCVA Artistic Director James Wilson starting at 7:00pm. Please note: Online ticket sales have ended for this event, but tickets are certainly available at the door. We look forward to seeing you. For all the latest concert news, and more information about our artists and our programs, please sign up for our monthly e-newsletters.